This can be prepared within minutes if you have batter ready! Still faster if you have ready idlis! Add in the oil and let it heat. Add in the mustard seeds and let it sputter a bit. 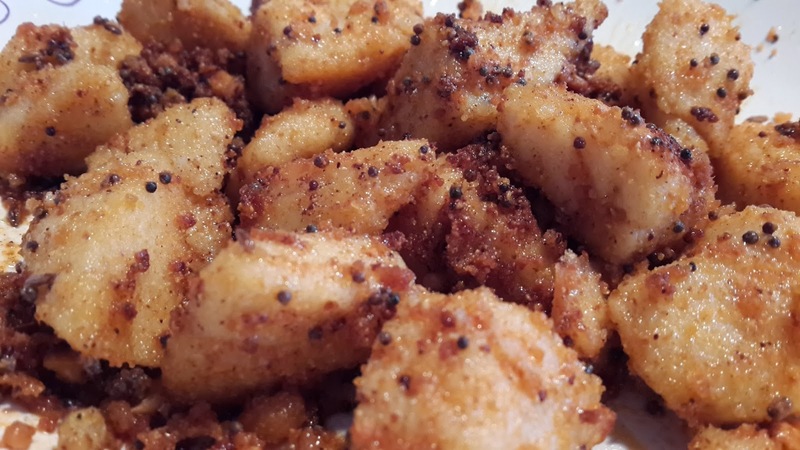 Now add in the cut idli pieces and let it fry for about a minute. Now sprinkle the chutney powder available in your pantry and mix well. Let it fry for about a minute on medium flame. Switch off the flame and serve while hot!